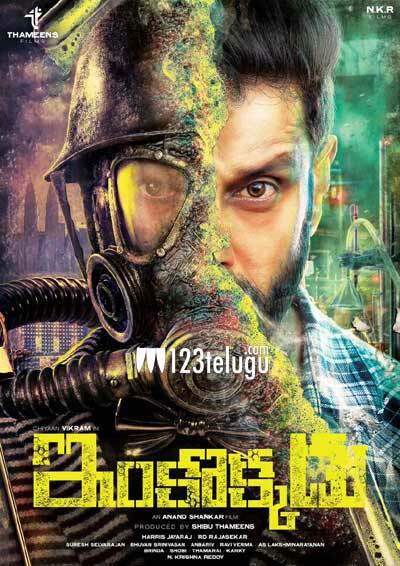 The Telugu teaser of Tamil star Vikram’s upcoming thriller, Iru Mugan, was unveiled by Megastar Chiranjeevi at the SIIMA awards carnival in Singapore last night. The film has been titled Inkokkadu in Telugu and the teaser received a thumping response from the guests and fans. Going by the teaser, Inkokkadu will be a racy action thriller with mistery elements. Vikram plays dual roles in the film and Nayanthara and Nitya Menen will be seen romancing him. Inkokkadu being directed by Anand Shankar of Arima Nambi (Dynamite in Telugu) fame. Inkokkadu is slated for a late August release. Shibu Thameens, who had earlier produced Vijay’s Puli, is producing this high budget thriller.